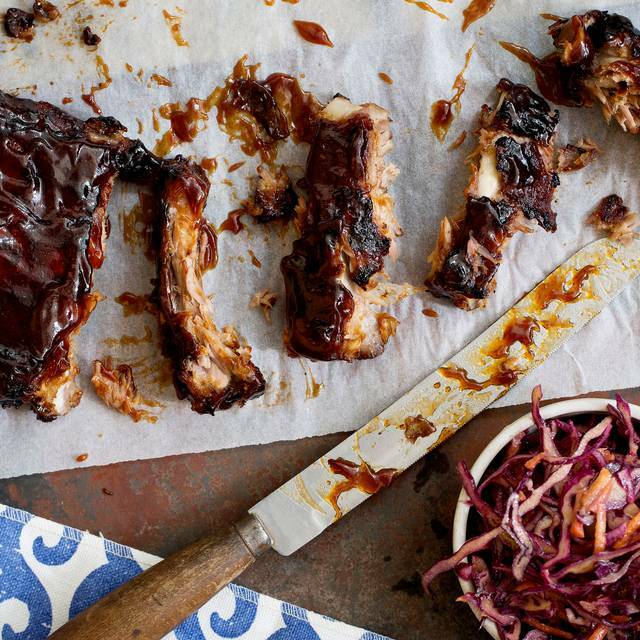 CABANA is a relaxed, vibrant and affordable Brasilian Barbecue restaurant. 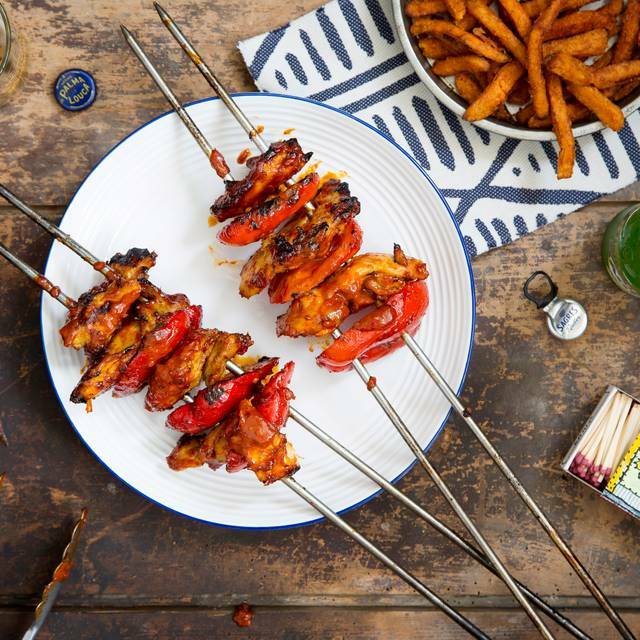 The menu features marinated chicken, beef and pork skewers which are grilled fresh to order, such as the best-selling Spicy Malagueta Chicken or the popular Picanha Burger with black beans, matchsticks and chilli mayo. The street food selection includes delicious Pao de Queijo (cheese dough balls) as well as sides of Sweet Potato Fries, Black Beans and Cassava Chips. 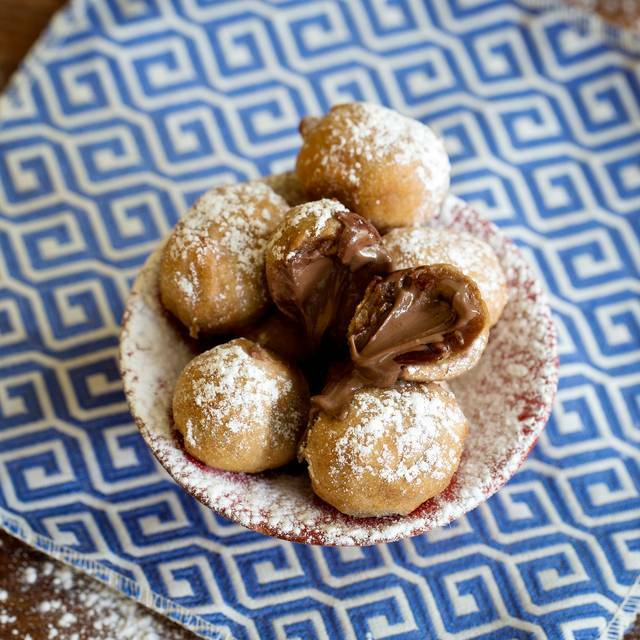 To finish off, Cabana offers some decadent desserts including Chocolate Raindrop Doughnuts (delicious fried dough balls stuffed with Nutella) and Oreo topped Sundaes. 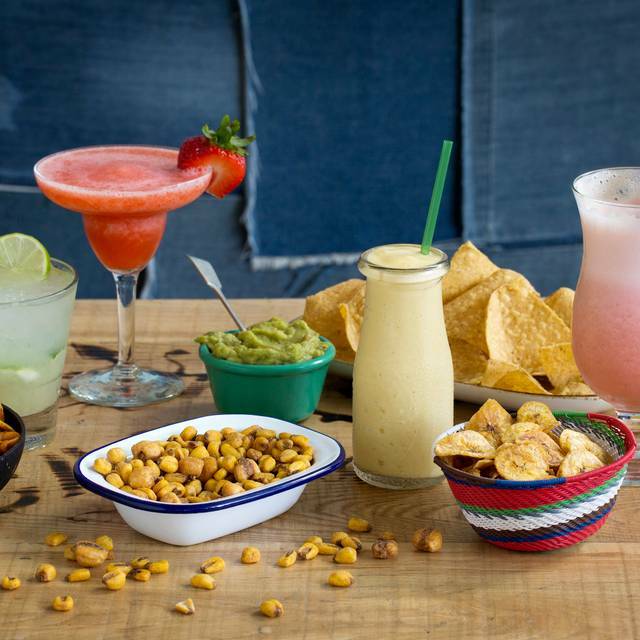 Cabana’s cocktail menu showcases Brasil’s most famous cocktails, such as flavoured Caipirinhas and blended Batidas. The interior exudes the best of São Paolo with “up-cycled” design features such as denim banquettes, streetside-inspired posters, and kites, all maintaining CABANA’s lived-in and hand-made feel. Wasn't too busy. We probably didn't need to book. The service was reasonably quick. I would come back here again. Plenty to choose from on the menu. Went to Cabana for a birthday dinner on a busy Friday night. The food was good as always with a extra helping of Calamri because some fell off the plate when being served. Overall a good experience and we will be back. This isn't somewhere I would rush back to to be honest. A problem in the kitchen meant food was very delayed (these things happen) but it wasn't great when we eventually got it. Service wasn't very good either. I wouldn't recommend this restaurant. We enjoyed the food, it was as authentic as any cuisine can be outside of its origins and to satisfy local palates. The coleslaw with coconut was especially tasty. The grilled steak and chicken were also succulent, however the person who served it did not scrape off the lovely spiced marinade that was taken away on the sizzling plate. Cocktails were better than any I've had recently. Service was always with a smile, but very very slow! Each time we had to try very hard to get someone's attention. Will we go again? Probably if we are at Westfield and wanted a bite to eat. But would not make the journey especially. I went there with my boyfriend on the 14th February for Valentines Day where we booked a table for 12 pm (the door opened at 1pm and we were asked to wait another 15 minutes :/). When they opened we had the chance to sit at a table of our choice and the service was quite fast (a bit slower for the main). Otherwise the food was delicious and colorful. Going well with the exotic Brazilian decor. If I could recommend a started, the doughballs wirh garlic butter were fantastic. 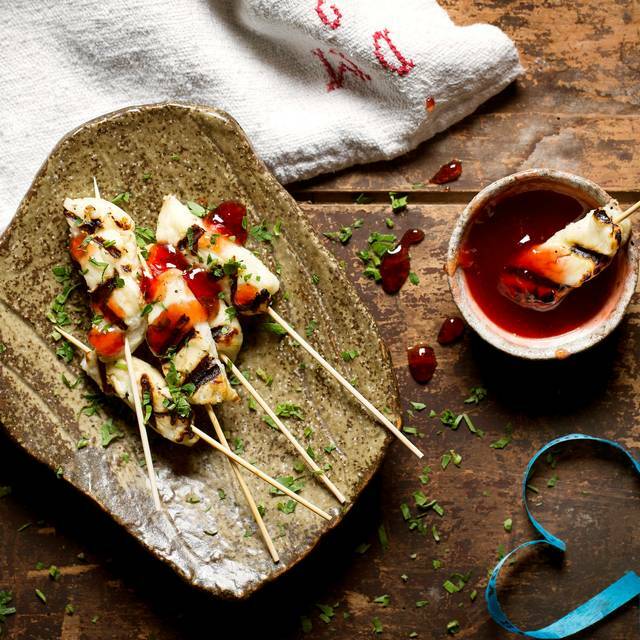 If you love cheese you should dedinitely pick it or if you like to mix between salty and sweet opt for the Halloumi and guava. As we picked the Valentine's Day Menu (good price deal as it'll end up more expensive if it was took individually) it was a bit confusing when two friendly waitresses came to tell us the same thing in different ways... When we already knew what they were saying and got our orders taken. Despite that I would definitely come again!! Quantities were very small for price! Food quality and service were good. It could have been a one off but they had no beef steaks (lack of delivery) and it seemed like only 1 chef (food took ages to arrive) a friend ordered the pork churrusaco and got 4 cubic inches of steack for £14!!! Which was not value for money. 2 of my guests waited ages for their meal and when it arrived the rice was cold. When we did get food it did taste good and they added another pork skewer to my friend who ordered pork. There were 9 of us and we spent £14 each . But the cold food was taken off the bill. So was ok value for money in the end. 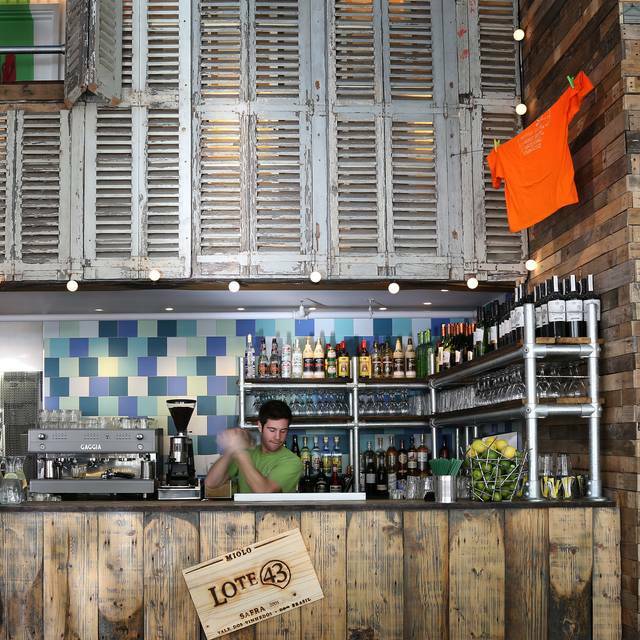 The restaurant is themed as a Rio Street Food venue and the décor is lively and colourful. The restaurant was not particularly busy when we arrived and we had good service from our 2 waiting staff. Our starters arrived and were delicious, we had the spicy prawns and the chicken croquettes. As we were eating our starters we noticed the restaurant had really started to fill up and that's when the wheel fell off the service wagon! Our main course arrived and the chicken skewer I ordered was dry and overcooked, the sweet potato fries were stone cold and to be fair were replaced quickly. We had to walk over to the tills to request the bill as we could not attract any attention. We noticed people walking out due to the quality of the food and the lack of service. This is a real shame as the concept is very good and the waiting staff are very pleasant but they can't seem to cope when the restaurant becomes busy which I also think is down to the chefs. Nice food, okay service. Prices were a bit much for what it was. Last minute booking with two kids under 10. Staff freindly and attentive. Order was delivered on time but fell short of five stars as they missed an item...then delivered it...twice...lol. Wasnt very busy when we went....so no excuse for not topping up bottomless nachos either (we had to ask twice). Would still recommend as ambience fab and food tasted good. Sry friendly staff. Delicious and different food. Went with three adults and three children 2-7 and everyone ate well and enjoyed the occasion. Food was great and good value for money. Staff were friendly however considering the place was practically empty we were never checked on or offered more drinks/dessert. We had to call them over every time which was a shame for an otherwise nice place. I didny get an opportunity to eat at this restaurant as I had a reservation but was late as we stood at the door for half an hour and yes you guessed it, someone in front of us got our precious table. Sort it out as this leaves a terrible experience of your establishment. Too busy?? Then employ more staff on a Saturday might be a good start. Great atmosphere, great service and great food! Went here for my 27th bday. Wonderful place, good food and ok prices. Can't complain. Food was terrible. Steaks were still mooing when placed on our plates, even after sending them back to be cooked more, they still came back raw. Coconut rice was a disgrace. Only good thing were the prawns. Cocktails seems watered down, barely any alcohol. Will not be returning unless someone paid me. My husband and I had a lovely Saturday evening at Cabana. Serving staff were very attentive and friendly. Food was delicious and fresh. Cocktails good, would have liked happy hr to have started earlier that 10pm, we got there at 8pm. Definately would go back!! Thank you Cabana!! Thanks to the great warm and welcoming service. My mum and me celebrated her birthday here and it was like a real birthday party. The staff came with a cake and candle and sing happy birthday song to my mum. Thank you so much for a great service. We will definitely be coming back soon! And the food us delicious as well. Fantastic place with the most amazing food and the friendliest staff! The service was friendly, efficient and made you feel welcome. The snacks and starters were very nice but most of us had the steaks which for the price you pay and the reason for going here was a let down. All the steaks were tough and chewy and some were over done. As we were a big party didn't mention at the time as it would have taken a while to be served food again and as it was all the steaks assumed this was just the quality of the meat. A disappointment as this was the main reason for going to a Brazilian BBQ restaurant. Went here for my daughters 21st at lunch time and we loved the whole experience! The staff were attentive, we were able to order as and when in stages, nothing was any trouble for the staff, it was a very relaxed, chilled place. The choice of cocktails was very good and the total bill was extremely reasonable. Went their for a birthday meal the was delcious ;very good quality for a cheap price. Cabana falls under that classic Pizza Express type mid range restaurant. It delivered well on service, value and ambience. Rice balls are fantastic, and the halloumi & portobella mushroom burger is lovely. A fun restaurant good price level. Interesting menu choices. Meat portions could be larger but are good quality. Good atmosphere, very friendly staff and amazing service. I have been here with friends, on a date, and with family, and each time it's been fab! The prices are fair and the food is great! There's a good choice and it's ace if you are a meat and spice fan! The prawns were very nice and very hot. The pork sirloin is the best pork I've ever had (not that I'm an expert or anytging). The only point I would make is that if you're hoping for a dinner and a chat, this may not be the place as the music is very loud. It's a great symbol for Brasil though! The service was appalling. Staff were not polite, with one rolling his eyes at us. We waited 25 mins after finishing our main course before having to tell them we wanted to order dessert. They were not busy at all and the waitress had been ignoring our calls during that time. Very rude and unprofessional. Food was overpriced for what you got but was very tasty. The chicken and cocktails really are fantastic. My boyfriend and I are fitness mad and the salad with the option of spicy or zesty chicken really was great! Super authentic and clean yet interesting with artichokes, mango and popcorn like kernels in there! I'm definitely going to be back to try out more on the menu. Chicken comes fresh on a skewer and were boneless thighs which were super juicy and I'm always up for a cheeky nandos but this was just on a different scale. Nice food and friendly services. The music is quite loud and a bit overcrowded but overall, good experience. Great atmosphere with the decor and music. Food tasted great but we mistakenly thought it was all you can eat bbq :) so was disappointed with serving size. Loved the xheese pockets from the starters though! Beer was not overly cold asbI would have liked. Went with a few friends on a Sunday night and the music was very loud. The restaurant is more appropriate for a stag do than, a catch up over dinner. The food was ok, the Brazilian sauce was tasty. The cheesy dough balls seemed stale. Service was increasingly slow towards the end of the evening. Had a lovely neal and great service, very child friendly. Forth visit and still really impressive. Food is outstanding, staff are generally very efficient, friendly and are determined to ensure you have a good experience. We visited on Friday evening, two adults, two teenagers and it was really busy but that didn't effect quality of the food which was excellent. Disappointed they've taken Salmon Ceviche off the menu, hope it makes a comeback soon. If there were two small things we'd change it would be to turn the music down slightly, impossible to hold a conversation and definitely need to get something done about the heating, every time we've been we've all been too cold.